Y outh and senior citizens are particularly susceptible to hazardous secondhand smoke. The Green Team asked Delran Township Council to consider making all of our parks and playgrounds smoke-free and tobacco-free outdoor recreational areas to help to reduce asthma triggers, and create healthy environments for our children. Prohibiting smoking will keep our waterways free of tobacco toxins, and help to reduce the risk of outdoor preventable fires from lit tobacco waste. Every year 4.95 trillion cigarette filters are discarded globally. The first reading is scheduled for Tuesday October 6, 2015 on Ordinance 2015-13 to amend our existing ordinance to ban smoking at all of our parks and playgrounds. The public hearing is scheduled for November 10th. Come out and support this action. The Green Tea m also believes that if we stop unnecessary idling, we can reduce the risk of asthma and heart disease and improve air quality. 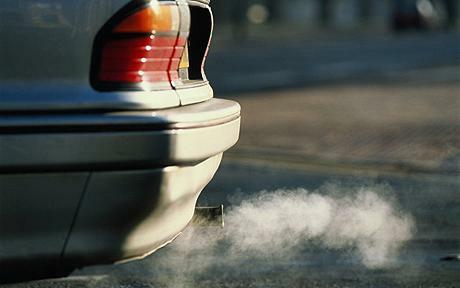 Modern cars do not require a warm-up period, and turning a car on and off does not harm the engine. In two minutes, an idling car burns enough gas to travel one mile and on average, a car emits one pound of carbon dioxide (CO2) every mile it’s driven so over a year, the average car emits nearly 6 tons of emissions into the atmosphere. We all need to be aware of excessive idling. Don’t turn on your engine until you are ready to drive after you’ve checked your email, text and facebook status. If you’re waiting to pick someone up, remember the three minute rule and turn off your engine if it’s going to be a wait. To learn more about the the impacts of idling, go to www.StopTheSoot.org. You can also read: IDLING… What’s the problem? Remember, you really are supposed to turn off your engine when you fuel up. The lungs of those around you will appreciate the action. Delran Township Council adopted Resolution 2015-135 to stop unnecessary idling on October 6, 2015. Please email, delran.green@gmail.com, to report a location with an idling problem.